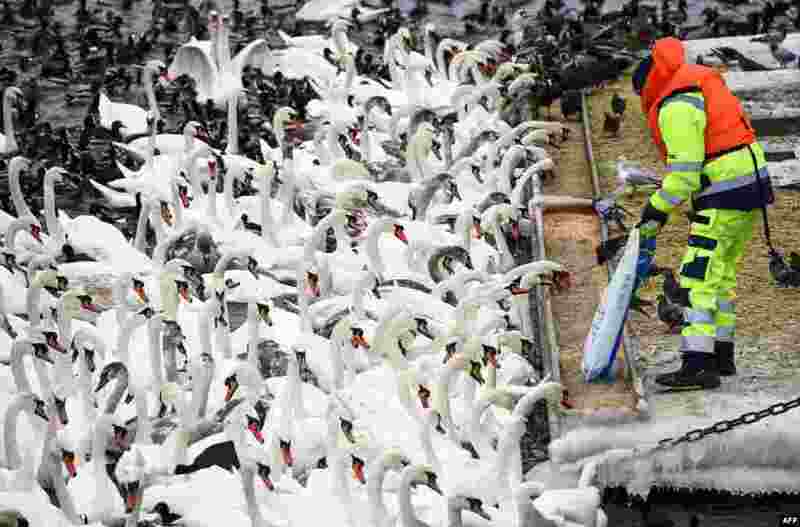 1 Hundreds of swans and different birds are fed in Stockholm, Sweden. 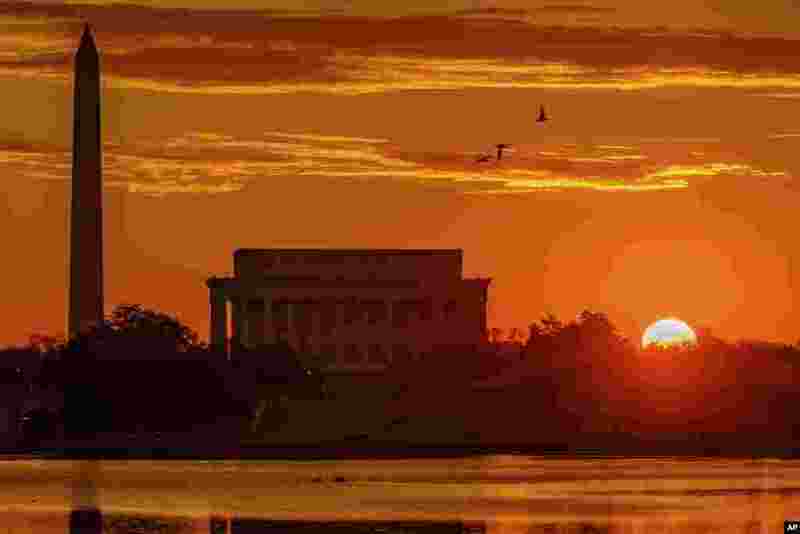 2 The sun peaks over the horizon next to the Washington Monument and Lincoln Memorial at daybreak along the Potomac River in Washington. 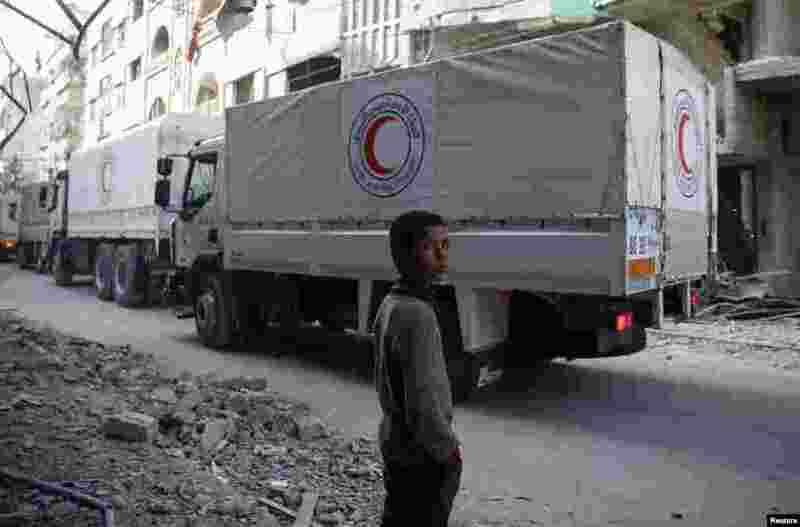 3 A boy stands as an aid convoy of Syrian Arab Red Crescent drives through the besieged town of Douma, Eastern Ghouta, Damascus. 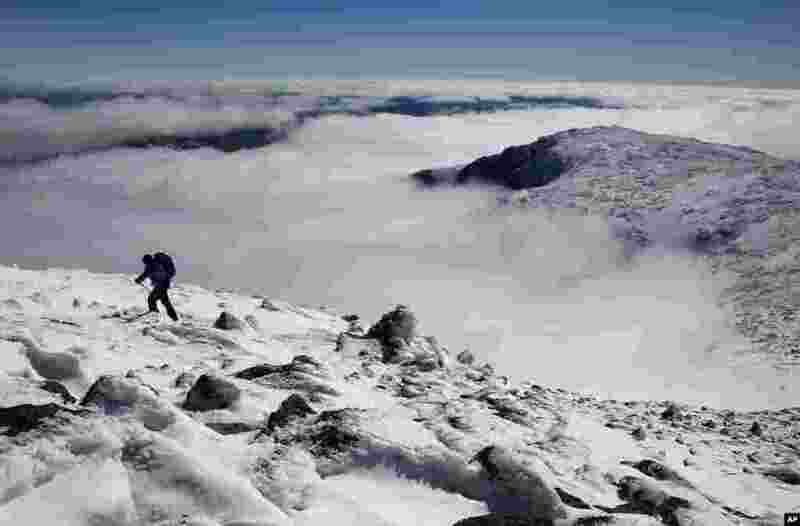 4 Clouds fill Tuckerman Ravine below Peter Arthur as he makes the final push to the summit of 1,917-meter Mount Washington in New Hampshire.